Cubitek has brought us several lines of tough, sleek cases. Their Tank series is designed specifically with gamers in mind, focusing on function over flashy design. The Mini Tank is their first mini-ATX case designed specifically for gamers, providing great airflow and room for large expansion cards and CPU coolers. It’s a rugged aluminum case that will be easy to transport to private LANs or other gaming events, without sacrificing cooling or components. I got to try out the Mini Tank for myself, and I found it had a few surprises in store for me. 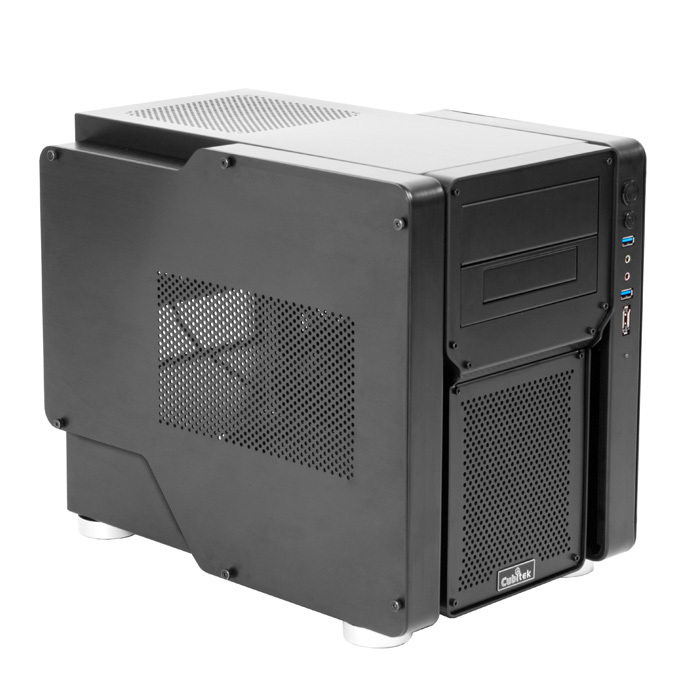 World’s first Mini-ITX case designed purely for gaming. The Tank Series is designed for high-end gaming PC users with space for large CPU coolers and long VGA cards, lots of storage space, superb cooling performance, inversion of the PSU, excellent heat distribution, and liquid cooling ready. Fits the Mini-ITX motherboard, 200mm long P/S2 PSU, 340mm long graphics cards, 2 x 5.25” ODD, 4 x 3.5” HDD and 2 x 2.5” HDD/SSD. A 5.25” to 3.5” converter is also included. 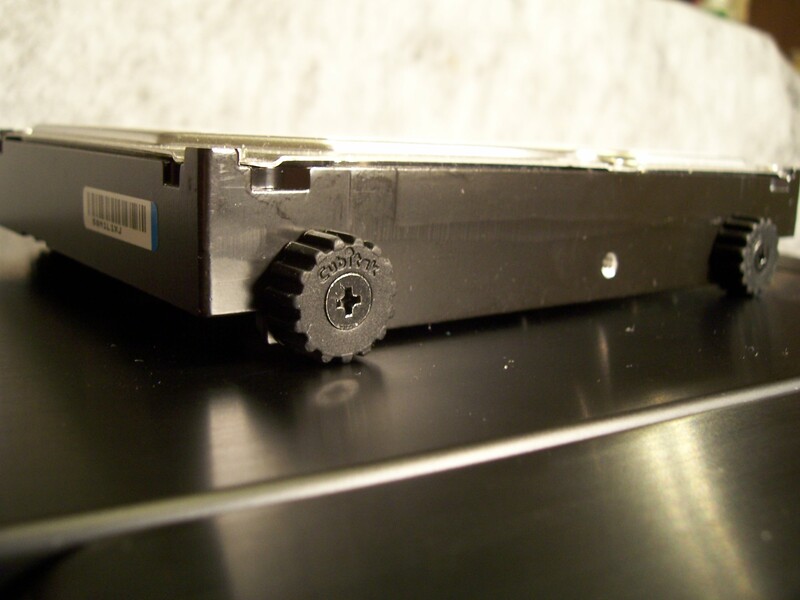 Power supply units up to 200mm long installed under M/B tray. Space for CPU coolers up to 160mm high. USB 3.0 and ESATA ready for high speed data transferring. One 140mm intake fan on the front panel, one 140mm exhaust fan on the top panel, and one 120mm exhaust fan on the rear panel. Two full sized PCI slots, Dual PCI-E slots with 340mm of internal space for ATI Radeon 5970 graphics cards. Vent holes on both side panels. Two openings for LCS tubing included.